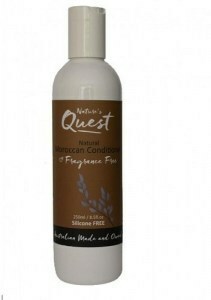 Nature’s Quest offers skin care, hair care, baby and household products formulated with essential oils and other plant-derived ingredients to produce a quality range that is free from harsh, harmful chemicals. The family owned and operated South Australian company keeps prices affordable so that everyone can enjoy their range of high-quality, environmentally friendly home products. The South Australian family behind Nature’s Quest aim to put safe, nature-based personal and household products within the reach of every family. Their line includes shampoos, conditioners, body washes, skin lotions, facial cleansers, deodorants, laundry powder, dishwashing liquid and more – all top quality, even luxurious, but also affordable. Unlike mass market versions of these products, Nature’s Quest’s offerings contain no sodium lauryl/laureth sulphate, ammonium lauryl sulphate, cocamide DEA, parabens or other dangerous chemicals. Instead, they use plant derivatives and pure essential oils. Packaged in highly recyclable PET, they’re better for your body, and better for the environment once rinsed away.